Awarded Car of The Year in 1990, one year after its release, the Citroën XM emulates the style of its forerunner, the CX. Elegantly designed by Bertone, innovative for its Hydractive suspension and 13th window, it was relaunched as Station-wagon in 1991, and then remodelled in 1994. In 2000 the XM gave way to the C5 then the C6 in 2005. May 1989. The XM becomes the natural successor to the CX and leads the Citroën range. With its majestic body anddesign by Bertone, the XM follows the Citroën tradition of taut refined lines. Among the many innovations, like Hydractive suspension, the most transparent stands out: the "13th window" which separates the cabin from the boot. The 4 and 6-cylinder engines, Petrol and followed by Diesel, culminate with the 3-litre V6, rapidly available in 24V 200hp version. Voted Car of The Year in 1990, it evolved into a Station-wagon in 1991, and was restyled in 1994. 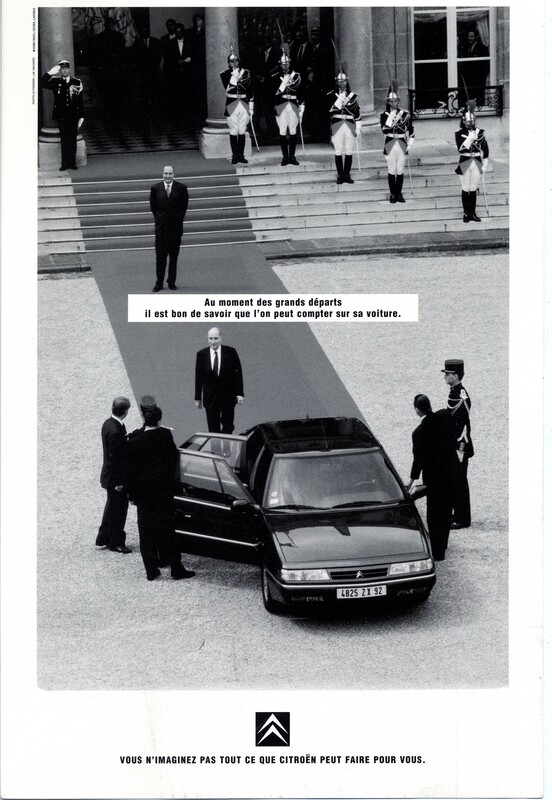 A new sedan for the Elysée, the XM was driven by two Presidents of the French Republic: François Mitterand and Jacques Chirac. The Citroën XM retired in 2000, partially replaced by the C5 then the C6.